Cardas Clear USB is a musically neutral cable and sounds the same at any usable length. Clear USB is optimized for constant transfer impedance rather than a full wave characteristic impedance. 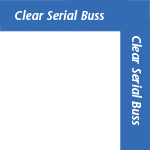 Clear USB is available with Type-A, Type-B, and mini-B connectors.